Indoor air quality may not be high on your list of concerns. Most people don't associate health problems with the air in their homes. They think, 'I'm just prone to headaches,' or 'my nose is always stuffy.' They may notice their child's asthma is worse at night, or wonder why they always feel so itchy. But because they can't see the toxins in their air, they don't realise that's what's causing their poor health. 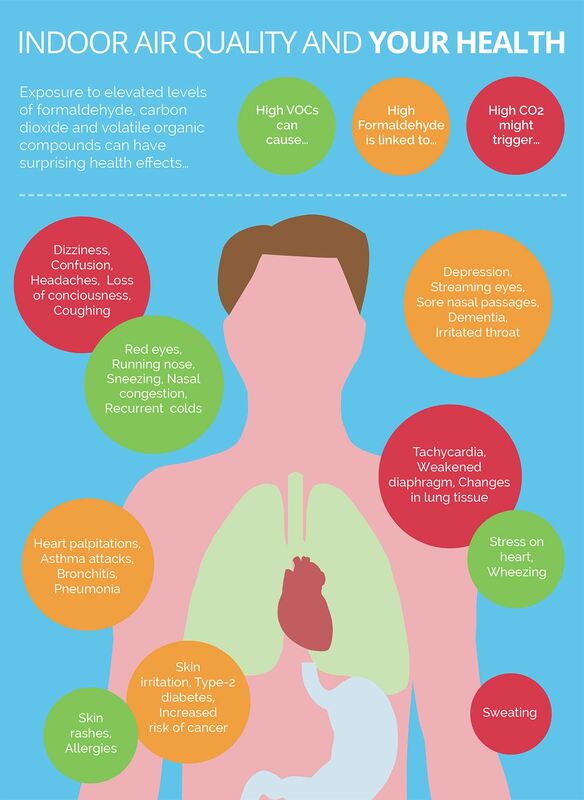 Learn more about the how indoor air pollutants can make you unwell. Then get your air tested so you know what changes you can make to feel better.